I haven’t been doing any gardening, other than keeping alive what is there. I have been doing a lot of painting and these are my two newest ones. 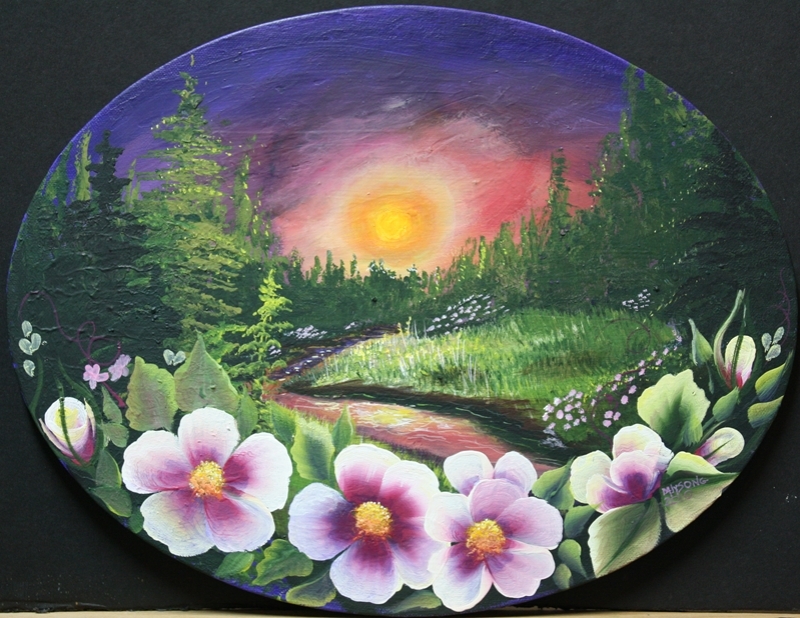 Rose Creek I, 14 x11 inches, oval, acrylic on canvas. 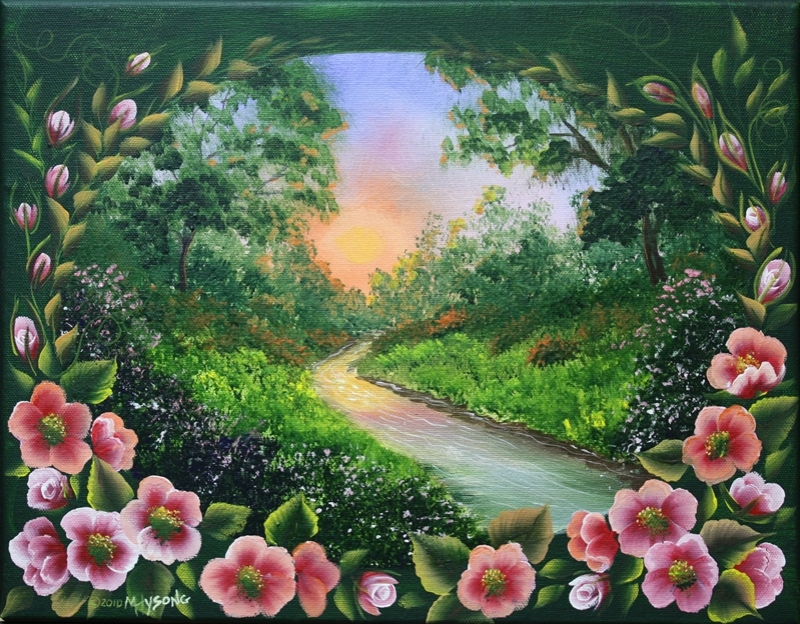 An impressionistic landscape with wild roses framing the bottom. Rose Creek II 11 x 14 inches, acrylic on canvas. This one has an oval design on a rectangular canvas. Again, an impressionistic landscape framed by wild roses.